In the semifinal he ran in what proved to be the faster of the two races and was second behind Chris Stone of Woodford Green. His time of 21.32 seconds set a new personal best. Leon Greenwood, of Swansea Harriers made up the three qualifiers from this race. The final really did represent the best collection of 200m runners available in the UK, with some athletes opting for competitions across Europe or at college matches in the US. Conor Wood, of Sale Harriers won and Chris Stone was second. Boldizsar crossed the line in 21.13s to further reduce his personal best. 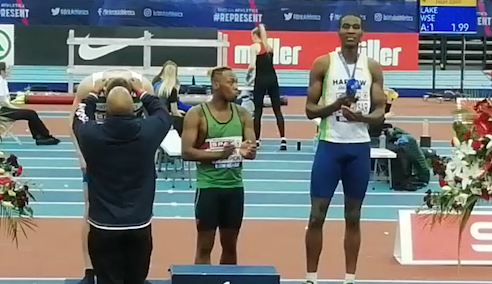 200m indoors is no longer a recognized indoor event but all three men have put themselves in the frame for the selector’s discussion at least for the European Indoor event in Glasgow in March; especially as their times were all quicker than any other British athlete over the weekend at any event.